Promotes deep relaxation and assists with restful sleep allowing the body to heal and repairs itself. Calms hyperactive children. Beneficial for children who have frequent nightmares. BENEFITS: Promotes deep relaxation and assists with restful sleep allowing the body to heal and repair itself. INDICATIONS: Sleep provides an important time for the body to refuel, heal and reset our circadian rhythms. But many of us suffer from insomnia, or restless sleep, often waking multiple times during the evening and feeling tired and depleted by morning. 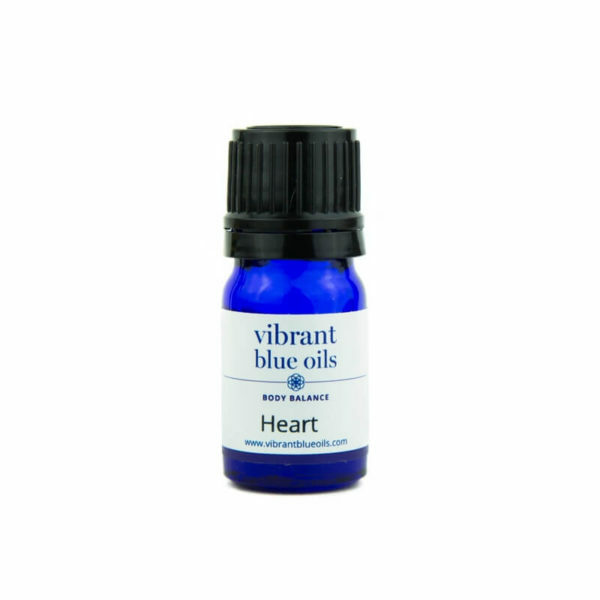 Vibrant Blue Oils Sleep blend is formulated from oils known for their gentle sleep inducing effects. Sleep blend has also been found beneficial when used with children that have frequent nightmares. HOW TO USE IT: Designed for aromatic and topical use. If using topically, we recommend applying 2 -3 drops to the back of neck or bottom of the feet at bedtime. Or apply to a cotton ball and put inside pillowcase. For insomnia apply to navel, legs and neck. Always test on a nickel sized portion of skin first. Make sure your skin can handle the oil/blend before using. Dilute to start or if any redness occurs. For Aromatic Usage, hold the bottle under nose for 3 or 4 breaths. WHEN TO USE IT: To aid with relaxation, falling asleep or staying asleep. Apply before bedtime or as needed through the night. INGREDIENTS: Vibrant Blue Oils Symptom Support Sleep™ blend contains a proprietary formulation of Orange, Tangerine, Patchouli, Blue Tansy, Spikenard, Ylang Ylang, Lime, Lavender, Chamomile, and Citronella. Beneficial for children who have frequent nightmares. Apply to the bottom of the feet at bedtime. Wrists, ears, under nose, back of neck, add to bath water and dilute with massage oil to rub on the back. For insomnia apply to navel, legs and neck. Orange (Citrus sinensis): Has a sedative effect and helps support anxiety and tension, calm nerves, stress, tension, and nervousness. The soothing scent helps strengthen the nervous system and helps you treat insomnia. Tangerine (Citrus reticulata): Soothes and sedates the body, relieving anxiety, tension, stress, systemic inflammation which in turn soothes depression, anger and impulsive responses. Tangerine also promotes hormonal secretions that help the body relax into calm. Patchouli (Pogostemon cablin): One of the chief oils to help you overcome insomnia. It helps treat nervous exhaustion because it has wonderfully relaxing properties. Blue Tansy (Tanacetum anuum): It helps enhance the properties of the other oils in the blend and will help you relax your mind and body. Due to its relaxing nature, it will also help you treat insomnia, when blended with the other oils in the synergy. Spikenard (Nardostachys jatamansi): Tranquilizing and sedative oil that can help balance emotions, support sleep and treat any type of tension. It is an excellent oil to use when treating restlessness, tension, agitation, and panic attacks. Ylang Ylang(Cananga odorata genuina): One of the chief antidepressant oils. It is calming and relaxing. It helps soothe the nervous system. It helps relieve mental fatigue, anxiety, depression, and insomnia. Lime (Citrus aurantifolia): Calming and soothing to the brain, Lime oil helps to clear thought, relieve apathy, anxiety, and nervousness. Because it refreshes a tired mind, it is a top essential oil to use when treating depression and listlessness. Lavender (Lavandula angustifolia): Helps support relaxation and sleep. Lifts mood and helps balance mood swings, normalizes emotions, brings deep relaxation. May help support irritability, moodiness, shock, fears, insecurity, restlessness, depression, nerves and stress. Citronella (Cymbopogon winterianus) A natural anti-depressant, Citronella may relieve anxiety and stress and help support a better night’s sleep for those who suffer from insomnia. This oil supports fatigue, headaches and nervous conditions.